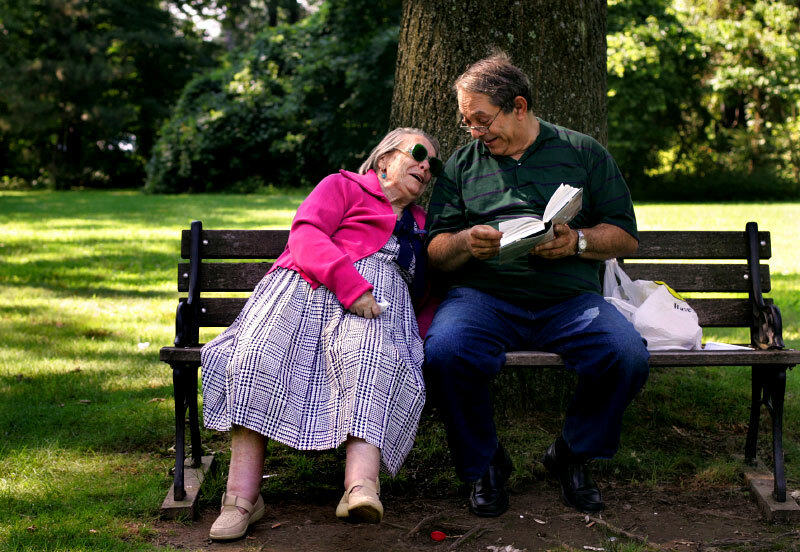 Michael Melts, 57, reads in Russian to his mother, Hannah Gilis, 85, in a shady spot at Hartford's Elizabeth Park. Gilis is legally blind, and Melts says he helps her out as often as he can. "When I was a baby she cared for me and now I try to do the same. When she's happy, I'm happy too," he said.